When it comes to Pre-Employment Medicals, KINNECT offer a truly different experience. Our systems and online platform allows us to engineer out many of the human errors commonly experienced in the industry. We’ve analysed the way in which Pre-Employment Medical programs are delivered and identified some of the most innovative ways to improve the way they are done, leading to a quicker, smoother and more positive experience for you the customer. Regain control over your Pre-Employment Medicals through KINNECT’s innovative online platform, Carelever, that provides 100% transparency, delivered in real time. No more calling and following up service providers, all your pre-employment information can be accessed via your live dashboard, so you can keep your finger on the pulse at all times. Carelever makes it simple for recruitment teams and HR professionals to identify the right people to fill the roles required in their organisation. It knows all the relevant information for your company’s operations and your recruitment process. This adds more structure, process and control around the final part of the recruitment process. With a team of customer service representatives who understand and appreciate the need for responsiveness and urgency, combined with a national footprint of clinics, KINNECT is your partner when mobilising people. With our national footprint and innovative cloud based Pre-Employment platform, you can mobilise staff quicker while minimising future risk. Compilation and submission of all results to the referrer via email (in addition to results being uploaded into Carelever, KINNECT’s online pre-employment platform). KINNECT have 12 conveniently located clinics distributed throughout Queensland, Victoria, New South Wales and Western Australia. In addition, KINNECT have greater than 350 Medical and Allied Health Affiliates nationally and internationally. This allows us to coordinate Pre-Employment Medical and Functional Assessments in geographical regions close to where an applicant is located. Should we not have existing coverage in areas in which you require pre-employment assessments to be performed, KINNECT will source an Affiliate provider to ensure seamless service provision. Legislative occupational medical examination required for all coal mine workers, currently working in Queensland. Legislative occupational medical examination required for all coal mine workers, currently working in New South Wales. Legislative health assessments for workers exposed to specific hazardous environments and/or substances. What is KINNECT's Turnaround Times? KINNECT have a designated Pre-Employment Team consisting of greater then 30 Pre-Employment Bookings, Results and Quality Assurance Consultants. This ensures that you receive the quickest turnaround times possible for your Pre-Employment Assessments, while maintaining the highest level of Quality Assurance. Please note, pathology and/or imaging tests will increase the turnaround time for results. Pre-Employment Assessments can be completed during the hours of 7:00 am to 5:00 pm (in each local time zone), Monday to Friday. KINNECT’s bookings and results personnel are available and will attend to all enquiries between the hours of 7:00 am to 5:00 pm (in each local time zone), Monday to Friday. Carelever can be accessed through our website. Should you wish to have access to KINNECT’s online booking portal, Carelever, please contact us. Should you wish to make your pre-employment bookings over the phone please feel free to contact one of our booking consultants on 1300 546 632. Phone bookings can be made between our normal business hours (Monday – Friday, 7:00am – 5:00pm in each local time zone). What Industries are Using Pre-Employment Medical and Functional Assessments? We work with our clients to design not only testing that meets legislative requirements but in certain cases exceeds these requirements with an end result of further mitigating risk. An example of this is including job specific testing (based on job dictionaries, risk task analysis and historical injury data review completed by KINNECT) in the functional assessment which for some of our clients incorporates their equipment to make the assessment as realistic as possible. KINNECT can help you meet your legislative requirements, by incorporating relevant legislative medical assessments into the pre employment process. KINNECT can also assist in the reporting of results to relevant government departments. Is there a Cheaper Alternative to a Pre-Employment Medical? KINNECT recognise that organisations are typically comprised of two distinct work groups (that is white collar and blue collar employees). KINNECT also appreciate that traditional Pre-Employment Medicals for white collar employees may not provide your organisation with significant value with regards to risk mitigation and/or return on investment, rather result in unnecessary expenditure, given the minimal health risk associated with the performance of such roles. It is for this reason that KINNECT have developed ‘SmartHealth’, an online medical history questionnaire which has been designed to assess the health risks of non-manual employees across an organisation quickly and cost effectively. KINNECT’s ‘SmartHealth’ survey allows low risk employees to undergo an online health screen that is quick, comprehensive, user friendly and secure. The results from a ‘SmartHealth’ screen are instant and will allow you to assess whether further investigation or a full comprehensive medical and/or functional assessment is required. Should you wish to receive a trial of our SmartHealth medical history questionnaire, please contact us. 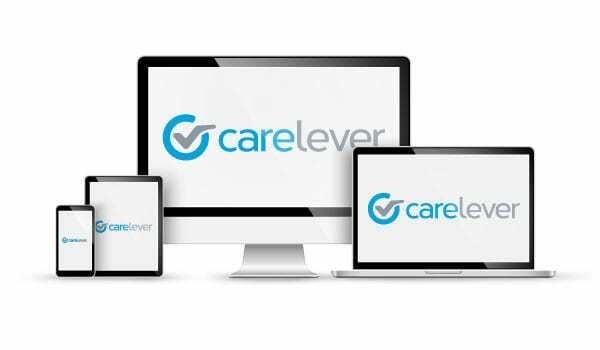 Carelever leverages the power of technology to automate or eliminate many of the time consuming administrative tasks associated with Pre-Empoyment Medicals and Health Surveillance programs. Carelever Screen returns the control of Pre-Employment Medicals to you the company representative. It allows you to submit referrals, track the status of these requests from booking through to results, all in realtime and with 100% transparency. Looking for a Pre-Employment Provider that Offers Competitive National Pricing?